This past fall we were gifted by a local friend and winemaker with a ton of fresh eggplant from the winery’s garden. 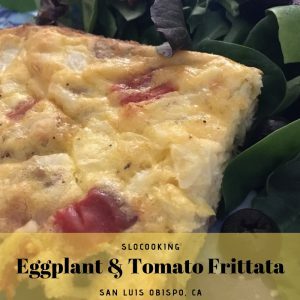 While my whole family adores eggplant, I was feeling pressed to find ways to eat it. 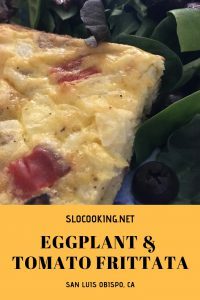 I came across this recipe for eggplant and tomato frittata and gave it my dairy-free twist. 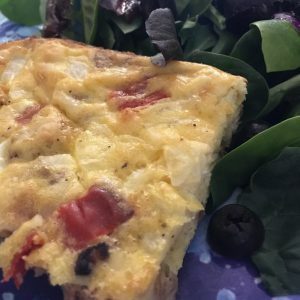 My whole family adored this dish and we all happily ate it for dinner, and then as leftover. Not only does this taste good hot, but it also tastes good cold as left over.